The Grammy Award-winning rap duo made their announcement on their newly-launched social media platforms, but didn't say which festivals they would be playing at. Andre "Andre 3000" Benjamin and Antwan "Big Boi" Patton confirmed last week that they would be performing together for the first time in 10 years at the Coachella Valley Arts & Music Festival in April. 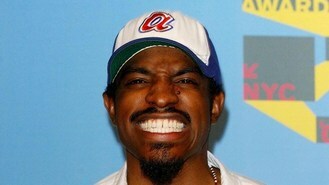 OutKast never formally broke up but stopped working together after the 2006 release of Idlewild. Big Boi has released a couple of solo albums since then, and Andre 3000 has been acting and making occasional guest appearances as a musician.